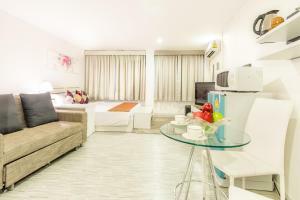 This hotel, offering budget accommodation in the heart of the Pratunam area, is close to Bangkok’s Central Business District and is a welcome base during your stay. 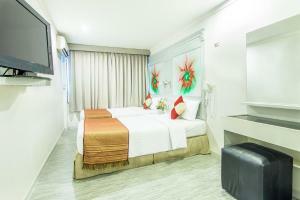 Not far from attractions such as the Victory Monument and Pusit Palace, Pratunam City Inn enables guests express check-in and check-out. Read a newspaper in the reception area or exchange money at the front desk. The attentive staff is delighted to direct you to the private parking area nearby, where you can leave your car for free. Shopping enthusiasts will be happy to know that the King Power Complex and Central World Plaza are only a short drive away. 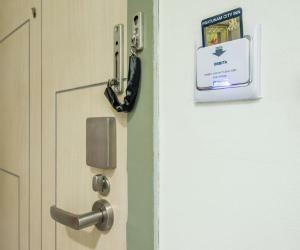 Air-conditioned room features a flat-screen cable/satellite TV, a minibar and a safety deposit box. A hairdryer included in an en suite bathroom. 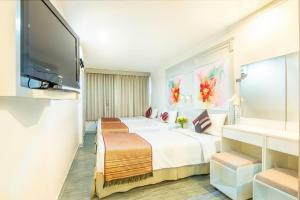 Rate: THB 1200.00 ... THB 2250.00; select dates below to get current rates. 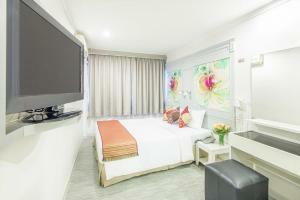 Larger air-conditioned room features a flat-screen cable/satellite TV, a minibar and a safety deposit box. A hairdryer included in an en suite bathroom. Spacious air-conditioned room features a seating area with a sofa. 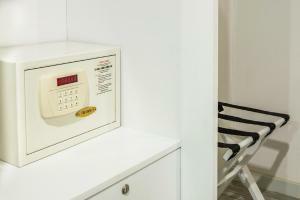 It has a flat-screen cable/satellite TV, a minibar and a safety deposit box. A hairdryer included in an en suite bathroom. This room can accommodate extra beds. 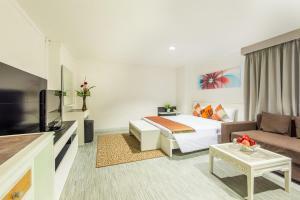 This triple room has a minibar, air conditioning and satellite TV.